Our expertise translates into enormous benefits for you: Marine Service has been providing assistance with LNG transport projects since 1958. Our core competence also includes commercial and technical advisory services for complex projects for marine transport and supply of liquefied gas. 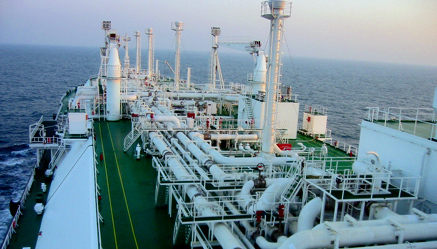 Experts from Marine Service have been involved in the planning or the construction phase of one fifth of the current LNG tanker fleet worldwide. Planning, construction management, approval, inspection and acceptance of LNG new ships and converted vessels – Marine Service leverages on decades of experience. So far, our advisory portfolio includes 75 LNG gas carriers of various sizes with capacities of up to 200,000 m3 and the conversion of an LNG tanker with a capacity of 140,000 m3 into an FSRU. Marine Service is the interface between the ship and the terminal. We manage loading and unloading operations: Marine Service designs the marine structures of an LNG terminal, for instance, LNG berthing and transfer point with loading arms. The onshore services of Marine Service include technical, commercial and organizational assistance with planning and construction projects for LNG terminals at ports. Right from the design concept, construction planning to the necessary approval procedures before commissioning – we handle and organize all the stages necessary for the building of new LNG tankers and inspection of LNG tankers for conversion to FSRUs. In addition to this, Marine Service also offers shipping companies a wide range of consultancy services for the operation of FSRUs. 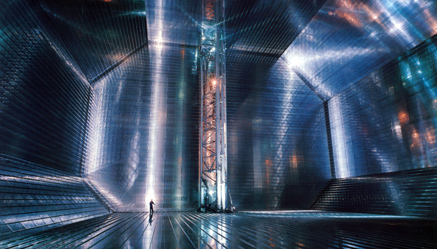 LNG is considered to be an environmentally friendly fuel. 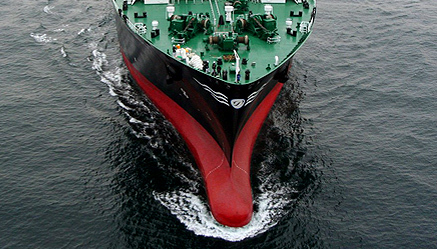 Marine Service develops optimal solutions for the fitting and retrofitting of ships.